We have all seen those riders who get on a horse and make it look like an equine ballet, looked on enviously at how easy it looks and their natural elegance, poise and co-ordination. The movement of horse and rider seem to be as one and in total harmony. This is not genetic; these are skills that anyone can learn. We all have natural poise, balance and coordination but we tend to lose it through the daily stresses and pressures of our lives which bend us out of shape. 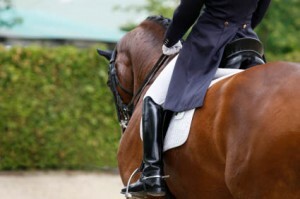 These develop into postural habits that we carry into our horse riding. We are the ones sitting on our horse’s backs and if we are stiff, badly co-ordinated or unbalanced we cannot expect our horse to perform to their maximum potential. Often we know there is a problem but the resolution is not easy to find and we land up getting tense and tight trying to resolve it. With this tension, a rider cannot communicate sensitively and effectively with their horse or have that all important feel of what their horse is doing underneath then which in turns causes the horse to become muddled and frustrated in their work creating a vicious circle. The Alexander Technique can help you become aware of your habits and start to address them. Try the Alexander Technique and become in harmony with your horse. The Alexander Technique is increasingly associated with horse riding – to see the article published about the Alexander Technique and Riding in Your Horse Magazine in 2010 click here. How can the Alexander Technique help with horse riding? Habits such has drawing up the heels, dropping the hands and looking down. Difficulty in feeling and follow the horse’s movement. Learning or improving your horse riding can be a stressful, frustrating and tense process not only for the horse but also for the rider. By incorporating the Alexander Technique with horse riding lessons Sarah helps you to achieve your goals with less stress, less frustration and tension enabling you to improve your partnership with your horse. Sarah is a freelance fully qualified instructor who is on the British Horse Society’s Register of Instructors meaning that she is fully insured, holds an Equine First Aid Certificate, has been CRB checked and holds a child protection qualification. She is also a qualified teacher of the Alexander Technique and a member of the Society of Teachers of the Alexander Technique. Having ridden since she was seven she has many years of experience. She qualified as an BHSAI in 1996 and has been teaching since as well as working on a racing stud and on livery yards. Whilst training as an Alexander Technique teacher she realised the benefits that riders could get from the Technique as she started to apply the principles of the technique to her own riding. Sarah provides horse riding lessons (on your own horse) for all ages and abilities and incorporates the Alexander Technique in her teaching. Sarah’s aim is to help riders to achieve real improvements in skill and performance without compromising their horse or themselves in the process. She has a positive and calm approach to teaching and helping riders and their horses achieve their potential in a realxed and calm way. All lessons are tailored to suit the individual or group being taught. Sarah is also available for workshops (mounted and dismounted) and talks, please contact her for prices and more information. Lessons are taught on your own horse at your own premises or at a location arranged by yourself. 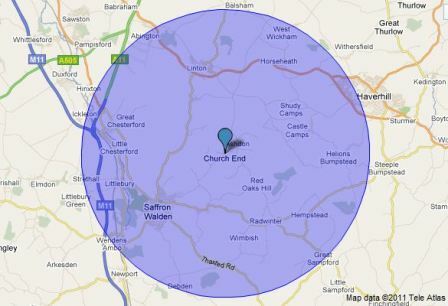 Pricing is based on locations within 5.5 miles of Church End in Ashdon, please contact Sarah to discuss charges for lessons outside of this area. £50 for 45 minute private individual lesson. £45 for 45 minute private individual lesson. Please note that cancellation charges will apply if less then 24 hours notice is given. If you have any questions, or to book Sarah for lessons please visit the Contact Page.